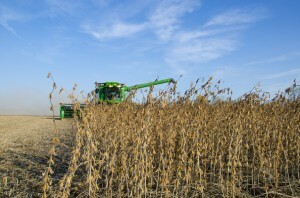 The 100-bushel soybean yields at Louie Rehm’s Wayne County farm have been getting quite a bit of attention this fall for their performance above the ground, but that is largely due to what was happening below the ground. The big yields were boosted by the installation of a controlled drainage system this spring that provided the moisture the crop needed through the dry conditions this summer. Louie Rehm's were heavily podded from top to bottom and nearly 60 inches tall. water. It really helped this year. Even in the drought this summer, the beans never wilted once because of the water they had in the soil where we blocked the tile. It was incredible. They just kept growing and growing. The 30-acre field of muck soils mixed with some clay is tiled every 20 feet, with some of those lines tying into natural springs on the farm. The situation in this flat, low-lying field is unique, and fit well with a controlled drainage system. The water control structures at the outlets of Rehm’s subsurface drainage system allow the drainage outlet to be artificially set at any level between the ground surface and the drain depth. Blocking the water can benefit crops during the growing season and also can be used to recharge the water table between growing seasons. Brian Orr, with Orr Construction, Inc., worked on the installation of Rehm’s system. The springs create a tremendous advantage in dry years. The addition of the control structures in this field made clear economic sense. And, with increasing scrutiny on nutrient management in fields, the control structures offer some additional benefits. 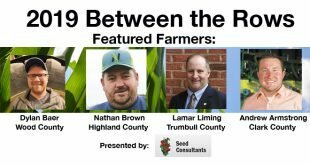 While there are some clear nutrient management benefits with controlled drainage, the specifics of many of those benefits is not yet fully understood or quantified by science. 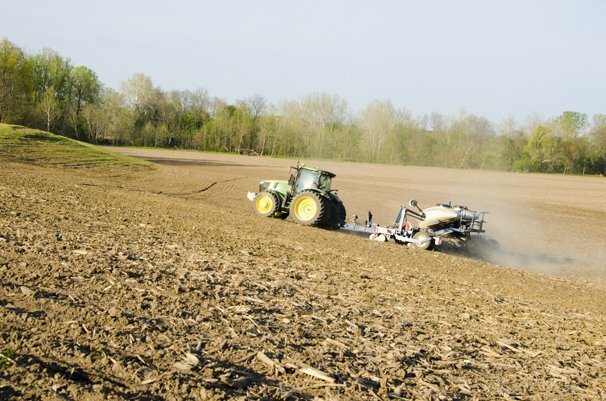 Extension and USDA Agricultural Research Service research has found that controlled drainage may provide some reduction in nitrate losses and other water quality benefits. 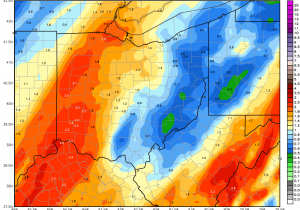 The dissolved phosphorus that is getting much of the blame for water quality problems in Lake Erie and other bodies of water, though, is less understood at this point with regard to many aspects of management, including controlled drainage. 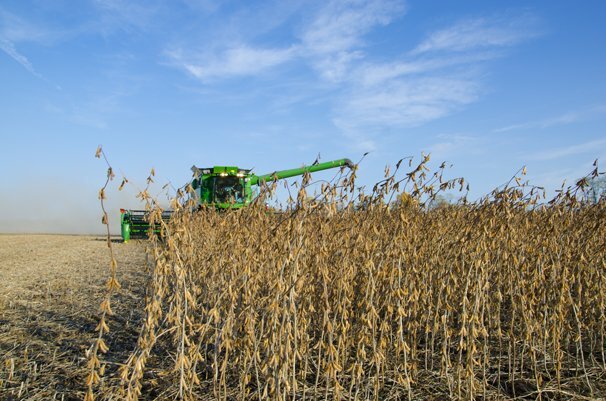 Any uncertainties about the nutrient management aspects of the controlled drainage system in his field, though, have done little to diminish Rehm’s extreme excitement about his massive soybean yields this fall.